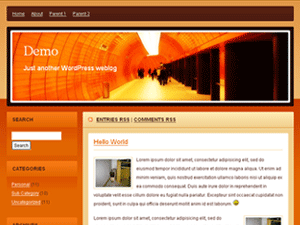 Description: A 2-column theme that’s not widget ready. Orange Subway is two-column WordPress theme I created for the seventh day of my WordPress theme self-challenge. The subway photo for the banner is from sxc.hu.